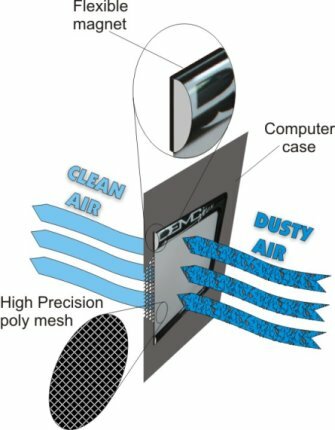 THE GREATEST FAN AIR FILTERS EVER DESIGNED!!! NEW Gorgeous Black Mesh! Now available in a Custom Triple 120mm Radiator/Fan Version and will prevent any dust from entering your case. With the two piece construction and a rear magnetic strip, removing and cleaning of the filter off the case is as east as 1-2-3! Way cool!